I wish I had more free reading time. 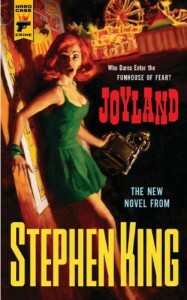 Then again, I'm savoring this slowly and really deep in the world of Joyland. I'm glad it won't be over too quickly. Then I'll try again on the other book I started, but looking forward to reading IT by Stephen King. 1104 pages in the paperback. That should keep me busy for a long, long time.